Long before television was invented, F.W. Woolworth worked with one of its key suppliers to develop its own exclusive range of 'orrible histories. 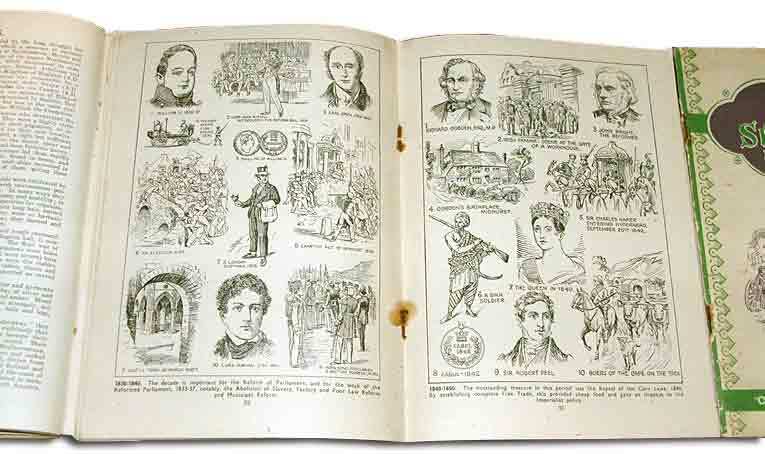 The illustrated booklets recounted the Nation and Empire's story in words and pictures, feeling like a comic but with serious content that met with approval from parents and teachers alike. They were destined to grace the shelves of the High Street stores for almost sixty years, winning the hearts of three generations of children and selling more than a million copies. If someone asked you to guess, what you would you think was the best selling ever book across the counters of Woolworths, the British variety chain store? The Complete Works of Shakespeare, perhaps, or one of the Harry Potter stories? The answer might surprise you - it was The Story of Britain - an illustrated part-work with titles like The Story of Prehistoric and Roman Britain and Our Empire's Story (later changed to Our Commonwealth's Story ). The exclusive books were developed and published by Thomas Hope Sankey Hudson & Co. Ltd., a Manchester-based publisher that worked closely with the store chain for over sixty years. The range was first offered in-store in 1909 and remained a good seller in the 1960s ! The books, which sold for sixpence (2½p) from 1909 to 1949, before rising to one shilling and threepence (approximately 6¼p) in the Fifties and Sixties, caught the public's imagination. They were one of very few items that met with approval from not only children but parents, grandparents and teachers. They offered a mixture of simply written text and line drawing illustrations. They had the look and feel of comics, but had a serious edge, with well written prose. Three generations of children, particularly those from poorer families, built their knowledge of the country's history and its place in the world from these simple books. 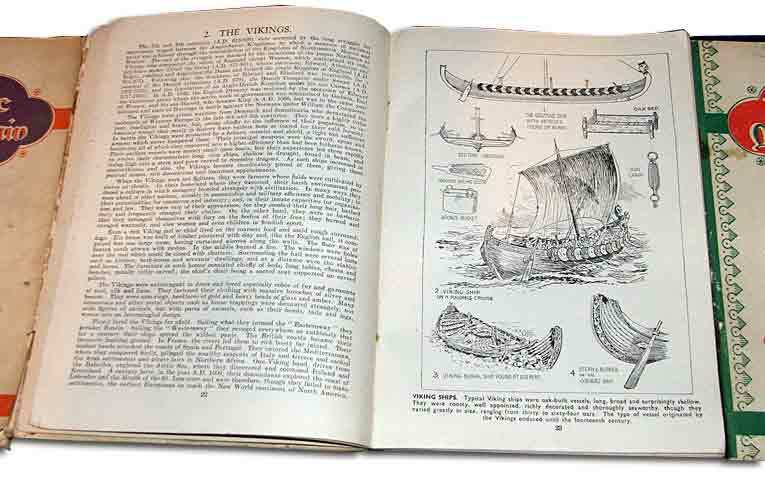 The paper-covered series, which was the same size as a modern exercise book, built into a simple but remarkably comprehensive children's encyclopaedia in a series of pocket money-priced parts. Every now and then it was updated to reflect changes around the world and the latest scientific discoveries. Despite their cartoon-like appearance, great care was taken to make the drawings as accurate as possible. More than a million of the books were sold before the Second World War with almost half a million more sold between 1947 and 1969. The company finally called time on the books after Thomas Hope Sankey Hudson merged with Hestair Hope and relocated to Royton, Oldham. In the modern world similar information is available through Wikipedia and a million other sites across the Internet. But none has quite the same charm or mass appeal as the simple sixpenny books from the shelves of Woolworths.